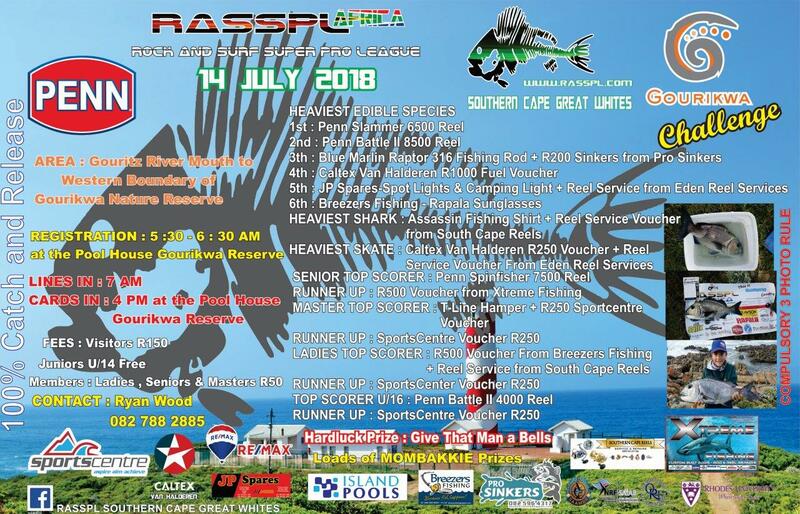 Southern Cape Great Whites are heading for Gouritz this coming weekend and have seriously outdone themselves by bringing you a fantastic prize list! This is their first competition for the season and its bound to be hum dinger! Can you really afford to miss out with such fantastic prizes on offer? see you all at the Pool House for registration and remember, anyone can enter!